A very limited run of the reimagined Ferrari 250 GTO might go into production. Hot on the heels of its De Tomaso Pantera recreation, Ares Design, headed up by ex-Lotus CEO Dany Bahar, has teased a controversial modern day interpretation of the iconic Ferrari 250 GTO. 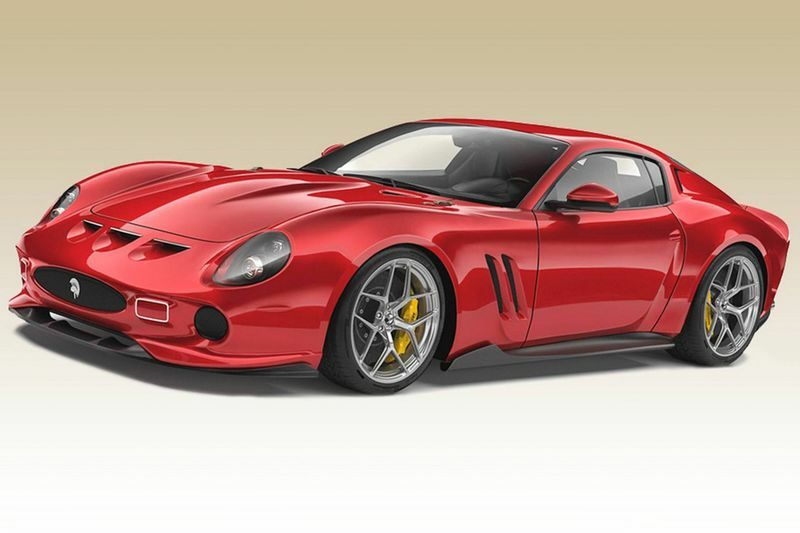 The Modena-based coachbuilder is planning to build a very limited run, no more than ten will be manufactured, of its reimagined GTOs at a cost of $1.16m each. According to the Robb Report, the Ares GTO can be based on either the Ferrari F12 or 812 Superfast endowing the recreation with a naturally aspirated V12 developing either 730 or 789bhp. There's no word on how the Ares GTO will be constructed but, given the extensive use of carbon fibre in its Pantera recreation, it's a pretty safe bet that the GTO will use similar techniques. With the original Ferrari GTO being revered as one of the most iconic and desirable Ferraris of all time, the design of Ares's recreation will no doubt come under close scrutiny. Given the 'new' car is based on the F12 or 812 Superfast it will be significantly larger than the original but whether or not Ares's reinterpretation of the classic GTO design cues has been successful is perhaps more of a moot point. Ares is keen to point out that the current design sketches are still a work in progress and, while the overall proportions are unlikely to change, there will likely be detail revisions once Ares has consulted with potential purchasers. With this modern day reinterpretation packing more than twice the horsepower of the original it's inevitable that aerodynamic requirements will spoil the purity of line of the original. But, if enough of its customers like the idea, Ares will put the new GTO into limited production and says the first car could be on the road within a year. Would you like to see this car in production? Let us know what you think.